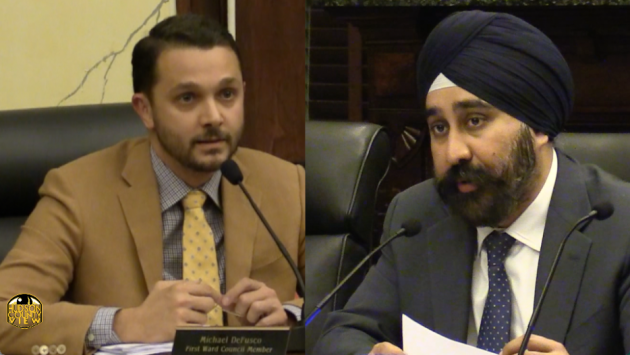 With the Hoboken municipal elections just days away, 1st Ward Councilman Mike DeFusco hit colleague/opponent Councilman-at-Large Ravi Bhalla over the fact that a super PAC has spent over $50,000 on his campaign in the home stretch. 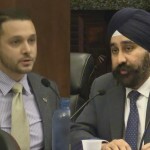 “Outside special interests are trying to take over Hoboken with this unprecedented and completely disgusting super PAC campaign, with a goal of electing a candidate in Ravi Bhalla who will let them build whatever they want in our city,” DeFusco said in a statement. 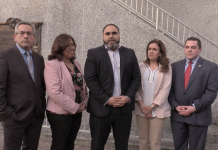 DeFusco’s remarks come after labor union super PAC Stronger Foundations, Inc. reported spending $50,520 on the Hoboken mayoral contest, according to an October 26th filing with the New Jersey Election Law Enforcement Commission. 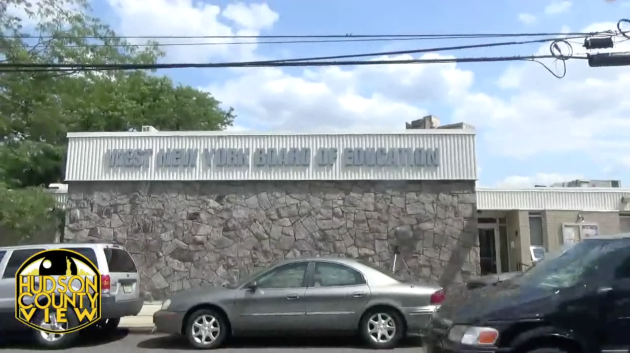 As Hudson County View noted earlier this week when discussing Bhalla’s infrastructure plan, Stronger Foundations, Inc. paid for a campaign commercial that aired on Fox News over the weekend. A closer look at the PAC shows that it is run by Christopher Lalevee, the son of Greg Lalevee – who is the business manager of IUOE Local 825. IUOE Local 825, as well as the Laborers’ International Union of North America, endorsed Bhalla for mayor late last month. As of October 10th, the PAC had only spent $11,400 on the Hoboken mayoral contest, a October 10th report shows. The PAC basically dared DeFusco to go on the offensive after paying for a mailer that reminded voters that he endorsed Peter Cammarano for mayor in 2009. Cammarano ended up resigning in disgrace, and has since lost his license to practice law, as a result of getting arrested on corruption charges as part of the Bid Rig scandal. 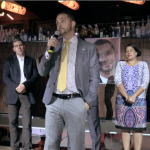 Rob Horowitz, a spokesman for the Bhalla campaign, essentially said that DeFusco should look in the mirror since he’s been a regular supporter of big developers. “Mike DeFusco has been a consistent supporter of the big developers, supporting a too tall hotel among other ill-advised and out-of-scale projects,” he said in an email. 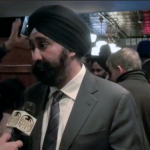 At a fundraiser in August, Bhalla vowed to protect Hoboken from developers if elected mayor. 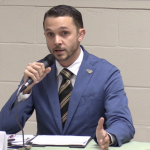 Furthermore, Horowitz referenced the fact that 2nd Ward Councilwoman Tiffanie Fisher has filed a complaint with the city alleging that DeFusco has broken the municipal pay-to-play laws. The DeFusco campaign denied that any such wrongdoing occurred. Which crook selling out Hoboken do I vote for now? Ok screw’em both. I will not vote for Ravi PACMAN Bhalla or Michael DeFiasco. Jen Giattino for mayor. She’s conflict free and dolphin tuna safe! Absolutely I am voting for Jen!!!! I’m not anti-Giattino at all; she registers more positive than negative as a mayoral candidate, as does Bhalla and most of the independent mayoral/councilperson candidates. Can’t say the same at all for DeFusco and Romano. But, unfortunately, you can’t say Jen is conflict-free on concerns similar to DeFusco’s or Bhalla’s. I would NOT say that her prospective councilmate, Starace, is disqualified to be on her slate just because he’s a (construction) union business agent and contract negotiator (ferpetessake), but he represents a huge risk to appearances of propriety and even a significant risk to city-contract processes (until an in-office history establishes otherwise) that dictates at a minimum the most scrupulous and distancing characterization of his candidacy from union biases. Jen can and should make those reassurances just so’s they can be regularly trotted out by future opponents to keep everything on the up-and-up. But he’s a union business agent and contract negotiator…whose OWN union – the one he represents, and whose business interests he assertively cultivates – instantly donated over $10,000 to Jen’s campaign. There’s nothing innocent in that donation, and I don’t at all mean to imply anything criminal. An out-of-state local did not pony up that so much dosh so reflexively out of pure altruism for a random out-of-state local politician OR for “fondness” for their own employee (hard to justify to dues-payers – w/o, that is, the obvious P2P lever dues-payers would okay). And the funders could in no way be unaware of the ugly intimations that would emit; like typical union influencers they didn’t even care that there would be such bad profiling. They know how to surf these issues….One can give local pols and out-of-state donors a break for not being fully boned up on individual municipalities’ P2P ordinances, especially where they do the right thing promptly when they discover the violation. For which Jen already gets ample positive credit. But that’s not what’s wrong with the Starace conflict. It’s the gross failure on appearances and the amount plopped right down (totally independent of any P2P considerations) alone vis-a-vis his job title that creates a problem. They should’ve never touched a penny of that specific union’s monies of any kind. (CM Fisher should really have known better than to have not expressly told Sal up front to tell his union to not even try – given the elected post she has – but she still will get the benefit of the doubt for a certain amount of naivete thereto. For now.) How are they possibly going to even largely dispel the impression of “expectations” on the union’s part?? Be best if they took NO union monies (transfer-of-sympathy risk), but as the P2P limits inherently imply a non-influential character to the limit..well, then, I guess it can be up to them to assess the political risk there – though his OWN career-granting union is a different influence risk altogether. I have no reason to think Jen is any kind of P2P cheat – none – and plenty to believe she’s going to be careful about such risks. Harder to be as confident about Starace (if only because there is substantially risk, too, of potentially heavy unconscious biases at play here), and his risk for conflict is too real at the moment to be dismissed. Doesn’t mean he or Jen is to not be voted for thereby — just that it remains a necessary factor in any voter’s overall calculus of the team’s suitability for office. But this is a real risk of conflict to be honest about. change the recipient of the ten grand to bhalla if you want a reaction from those hypocrites. YP, while significant donations were made by 3 unions totalling $13900, the campaign refunded all but the allowable $500 to each. See page 19 of the 10/12 ELEC filing. Oh you guys need to stop talking to FAKE. He can’t get past 2012. Long time Hoboken resident with no ties to special interests. She has laid out numerous plans while the other candidates are nothing but cliches. My favorite plan she laid out was the one where she paid me a thousand bucks! Hoboken is not for sale. Ravi can’t tell us why. $50,000 sure paid for a lot of pro Ravi campaigning. Make sure you set some of that Giattino payola aside for the big day – you’re gonna need it and then some! Look another Ravi Robot going Bonkers for Bhalla! Please tell Dan the intern, Christian the copy boy and Jake to stay off the computer. It can be a very expensive waste of time. The three morons who spend all day disparaging everyone in the universe who does not support Jen Giattino (Roman Brice, Kurt Gardiner) or Mike DeFusco (Tony Soares). Nancy have you not learned anything ? If the commenter Nancy is indeed Nancy Pincus this is a classic case of her projecting her own apparent psychological dysfunction on anyone not behind PAC Man Residential Ravi Bhalla. I have been outside a lot over the last two weeks meeting potential voters and ever increasing supporters for Jen so to say I spend all day blogging is quite a stretch. At this point I don’t expect Nancy Punkass to change her behavior but it is a shame many of the core Ravi supporters can’t make cogent arguments do resort to libelous personal attacks on her filth laden website. Weak candidates lead to weak arguments I suppose. The only things propping up Ravi right now are Zimmer leveraging her office politically and outside money. We shall see if that is enough to win on Tuesday. Doesn’t Tony support Mike? Why is crazy Nancy blaming others for what she’s doing? It’s totally nuts! How does defaming others defend over $50,000 in SUPER PAC money to Ravi by people who want 70 story towers in lower Hoboken for NJ Transit? Weren’t reform people in Hoboken fighting to stop that? Someone get that woman some help! She’s very ill.
Local 825 represents private sector employees who operate heavy construction equipment in New York and New Jersey for private entities and municipalities. The projects completed by Local 825 include the construction of the George Washington Bridge, the Garden State Parkway, Newark International Air Port and the Tappan Zee Bridge. Pretty obvious their interest in Hoboken is Rebuild by Design, which is a massive engineering project, not so much construction. The Builders went with DeFusco- the development guy, the Engineering labor union went with Bhalla- the ReBuild-by-Design Guy. It’s pretty obvious- but that won’t stop crazies from fear-mongering about “70-story towers”. As an unemployed Labor attorney we now know why you are with Ravi! Bhalla the job giver…. Librarians, Bus Drivers, Unemployed Labor Attorneys and law firms United for Ravi!!!! Maybe Jen should wear more flannel and crop her hair? perfect example of why people hope the soares loses and don’t even care what he’s supporting. Homophobic remarks on behalf of a gay candidate. That’s a new low even for you. While simultaneously whining about “small” jokes and “outing.” I hope you do go after people, can’t wait for everyone to get a look under your hood. How do these lunatics who claim to back Reform support these back door monies through a union PAC into Hoboken? Oh because it’s for Ravi Bhalla. Remember when Dawn Zimmer fought to stop these PACs? Yeah, some of us do and need an explanation for this massive hypocrisy. It’s almost looking as big as the NJ Transit towers trying to get here. Flaming hypocrites! DeFusco has done nothing but attack his opponents while offering vague and mostly ridiculous solutions to Hoboken’s problems. By going so negative he has made himself out to be the main clown in this election year circus. Each day and each attack, whether against Stick, Ravi or Jen, shows what an empty suit Defusco really is. Okay — I’m not being coy or otherwise facetious in any way here. Just not clear on what went down. 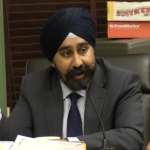 So — on the $50K or so spent by Stronger Foundations (SF) to benefit: do we know (and how if we do) if the funds actually went to Bhalla’s committee (or to his campaign’s hands some other way)? Or that his campaign actually set-up and had produced the promotional material involved — and that SF then stepped in to pay for it? Do we know that it isn’t the case that this SF (super? )pac just ran the ad (and polls) for themselves, albeit obviously to Bhalla’s benefit? The ELEC filing posted isn’t for Bhalla’s committees. In DeFusco’s case there are numerous entries in his own and his councilfolks’ committee reports taking more than the Hoboken P2P-capped (Ord. 20D) $500 per donating committee (for a municipal-election candidate committee). He’s got a clear problem. Seriously, KG, I’m not either being coy or asking rhetorically – just trying to understand how the two campaigns’ receipt of union expenditures are actually tantamount. I don’t quite see it yet where/how this $50,000 in alleged support is actually ever more than a (super? )pac’s spending on own interests (don’t see yet, that is). It’s “Chapter 20D-4 and 20D-5” I was referring to. Stronger Foundations is an Independent Expenditure Committee. IE money is not a campaign contribution. It is not “pay to play.” It is not done in coordination wit the campaign it supports. It’s legal per the Citizens United v FEC Supreme Court ruling. Plenty of bull$hit flying around by haters. Yes — I’d agree that on the surface that is all the SF expenditures are, and that, if anyone wants to make a claim of inappropriate campaign financing here, they’re going to have to somehow establish that the payments were made to cover Bhalla-initiated job orders. There was no evidence of that – or any attempt, either – by DeFusco-side elements. It seems almost mindlessly injudicious of the DeFusco side to even float an alleged campaign-finance abuse here, given he is dead-to-rights by his own reporting hand on his recent ELEC filings for baldly violating Hoboken pay-to-play ordinances. (I say “almost” as he may well be quite aware there’s no CF violation by Bhalla but just wants to avail himself of the Trumpian tactic of baselessly accusing opponents of his own sins to level out the guilt for such sins among the currently large populace of low-information, zero-objectivity voters. 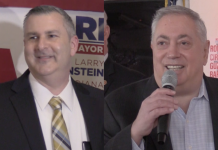 There is no gray area on his PAC contributions, and there is even a simultaneous and prompt refund of excess contributions by the campaign fund of another head-to-head competitor, Giattino. (Kudos to her: she kept only the $500 allowed of such contributions, especially as she probably could have argued to have kept $500 per candidate a la ELEC code practices, given the Hoboken P2P ordinance doesn’t explicitly address such a well-known, established practice either way.) And Giattino supporters should be careful not to sacrifice their existing credibility by jumping on DeFusco’s ploy so uncritically just to swat Bhalla. Best of luck – and tactical integrity! 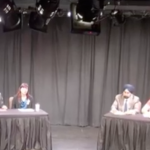 – to the Bhalla, Giattino, and independent-candidate campaigns – so far, they seem to be staying above the DeFusco and Romano levels of practice.